Sainsbury’s announced today that all tuna used as an ingredient in its food will be caught using the pole and line method by the end of this month. This move ensures that 100% of Sainsbury’s tuna across all products is responsibly sourced. Sainsbury’s fresh, frozen and canned tuna is already line caught. All of Sainsbury’s ready meals, sandwiches, pate, dips, salads, sandwich and potato fillers and sushi containing tuna will now be sourced using the more selective fishing method which practically eliminates bycatch of other species. Sainsbury’s moved all its own label canned tuna to pole and line caught in 2009, and as a result, was rated No.1 by Greenpeace for responsible sourcing. 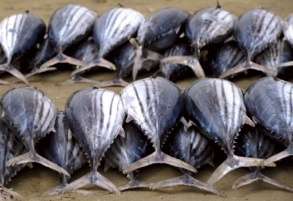 Tuna is the third biggest-selling fish in Sainsbury’s and the move will now see 1,500 tonnes of fish move to the more sustainable catch method every year. Can you please tell me where to buy Sainsbury’s tuna in Melbourne?